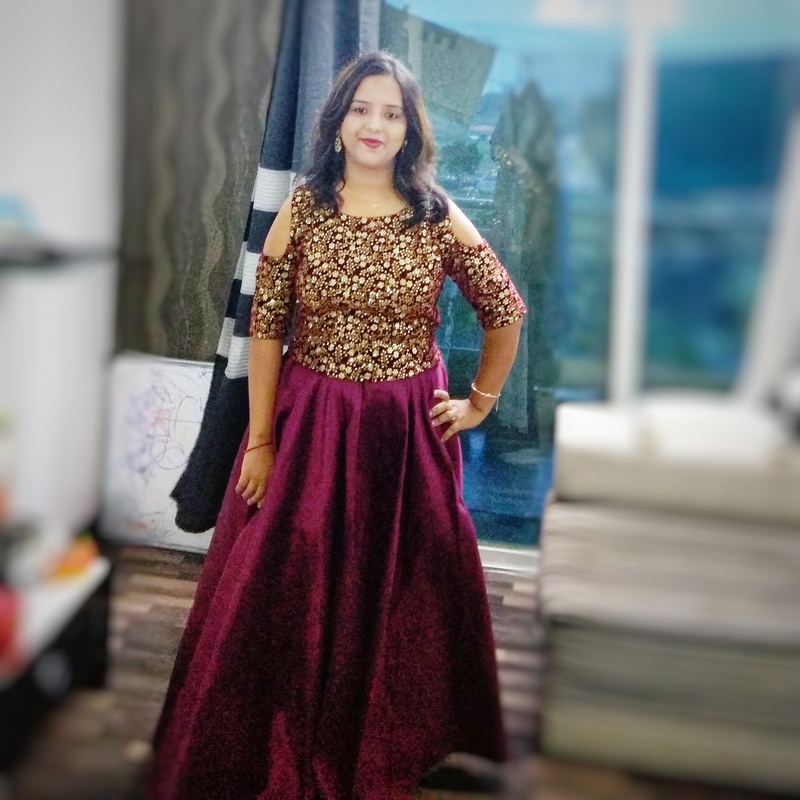 Dussera and Diwali celebration is over and when you are planning to go back to your jeans top, kurta leggings avatar there comes the big fat Indian wedding season. 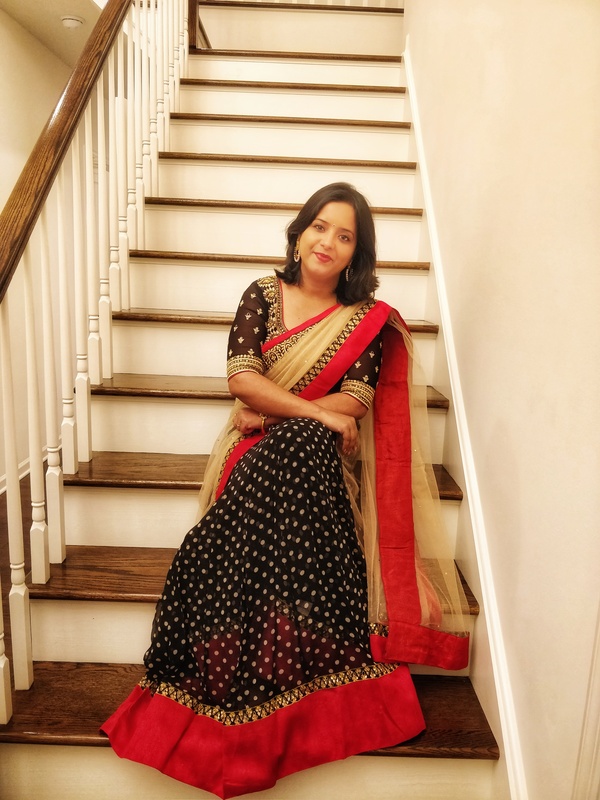 Most of you might already have a few invitations in your calendar and brainstorming on what to wear to look in your ethnic best. But worry not. Nowadays Indian wedding ethnic outfit is not restricted to only sarees or Anarkalis. 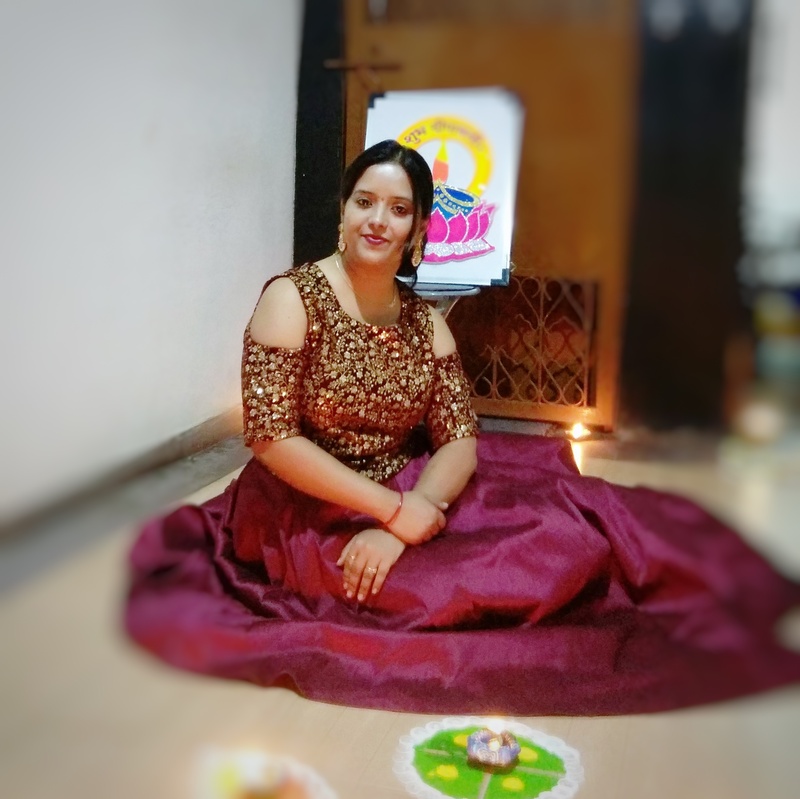 We have plenty of options to choose from a variety of outfits based on the function we are attending whether its mehendi, sangeet, marriage or reception. 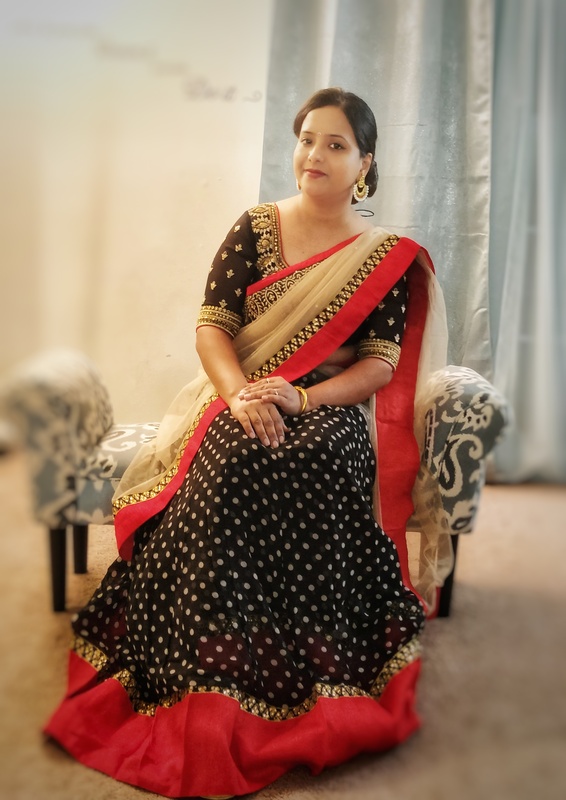 So here I am going to share a few of my ethnic looks which are simple yet classy. Indian wedding ethnic outfit and lehenga choli goes hand in hand. You should wear a lehenga at least for one of the many functions of the wedding. 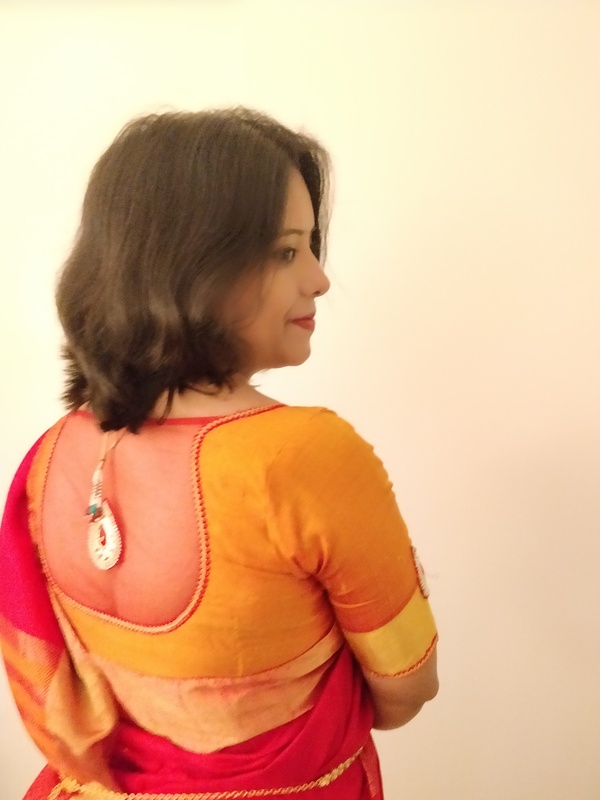 A simple yet chic one like mine is perfect for attending the sangeet or Mehendi ceremony. This outfit is all about mix and match. 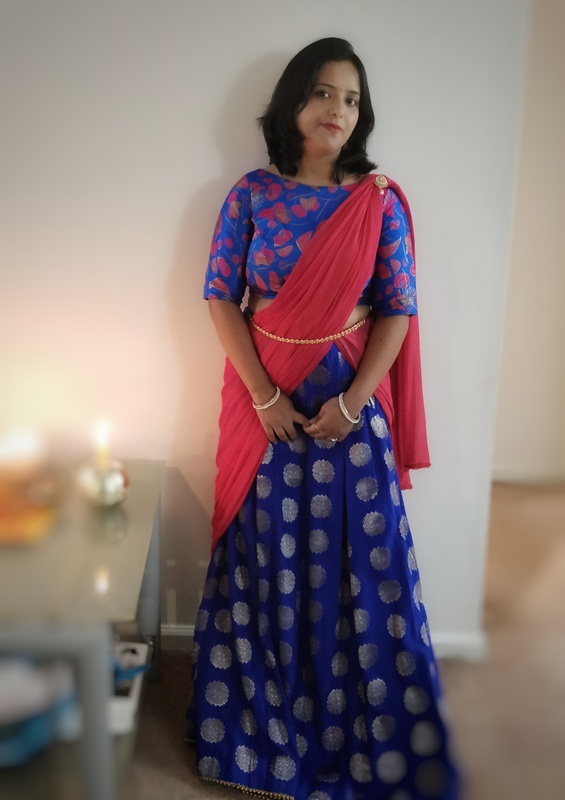 The skirt is made out of a woven banarasi material and the boat neck blouse I custom-made from my boutique in India and chose a brocade material. 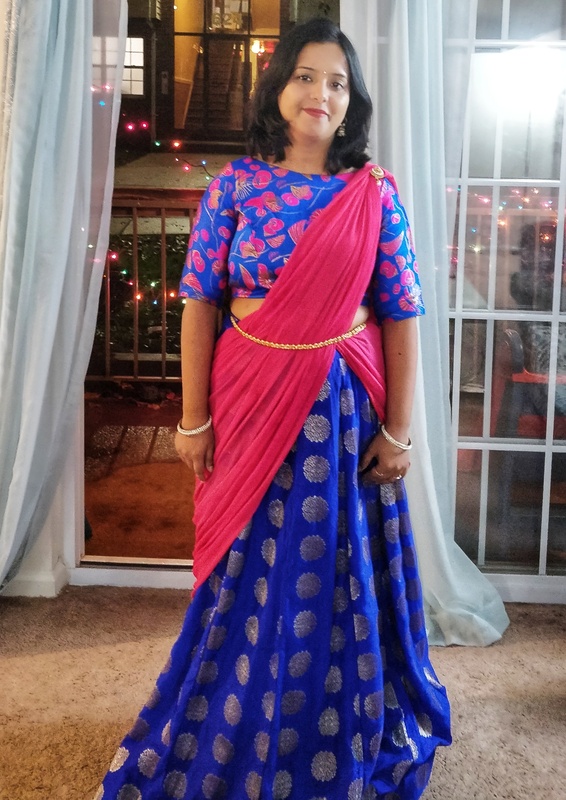 To balance the different shades of blue I chose the dupatta in pink and it became a perfect ensemble. All these materials are easily available in a variety of colours so you can mix and match any of them and create your own custom-made lehenga at a very reasonable price. 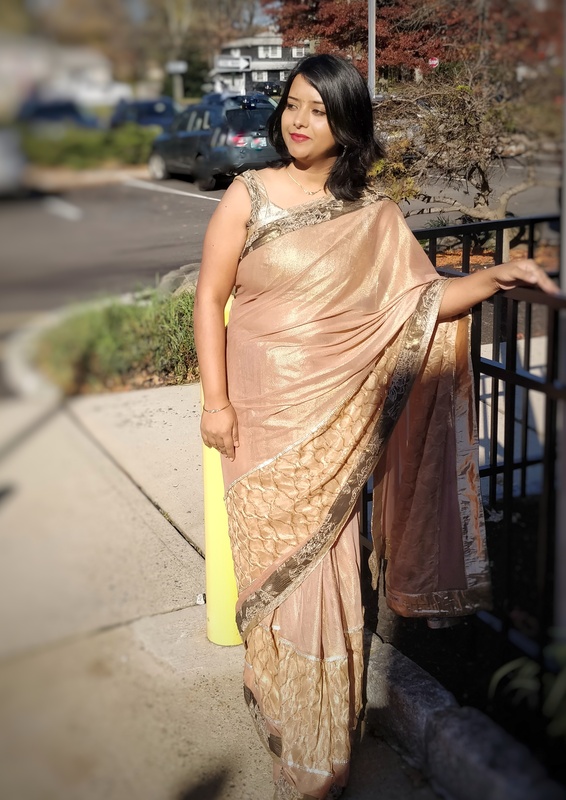 If you want to dance your heart out at your cousin’s sangeet and don’t want to bother about a dupatta or saree pallu then a crop top and skirt is the best option to choose from. It’s very comfortable yet classy. Crop top and long skirts are now in trend in Indian ethnic scene and easily available in all the stores or online shops. A resplendent Golden Designer Saree is a must have in every Indian women’s wardrobe. You must have seen these on each and every leading lady of Bollywood and high time to have one in your collection. These sarees drape like a dream and gives such a glamorous look. Adorn one for your friend’s bachelorette party or any other cocktail parties hosted before marriage and I am sure you are going to grab eyeballs. A half n half lehenga saree is perfect for attending the wedding reception and looks magnificent on Indian women. These are elegant yet catchy and mostly comes with an embroidered heavy blouse which looks like a gorgeous choli. If the blouse is heavy pair it with some big chunky earring minus any neckpiece and you will definitely look like a star. 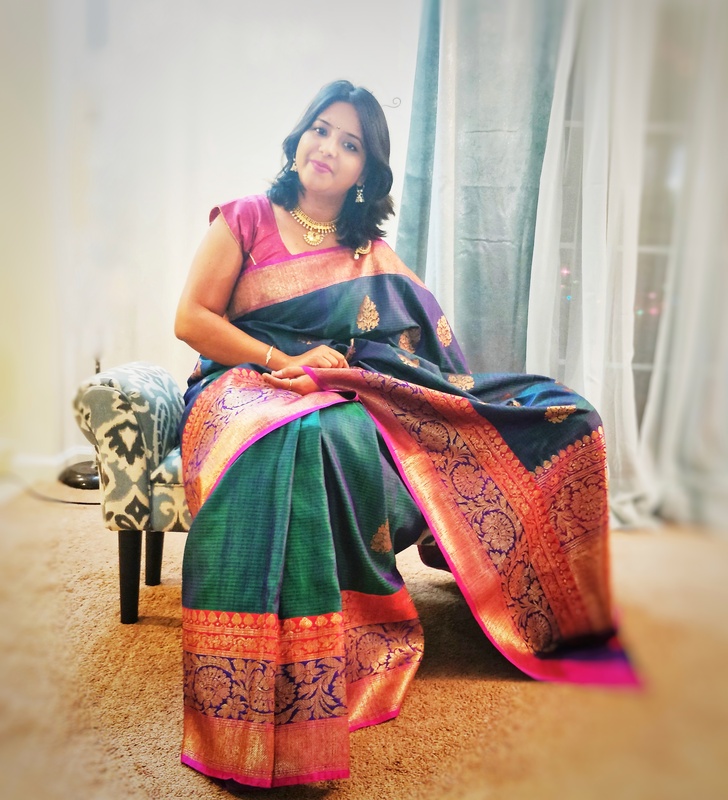 When it comes to Indian wedding nothing can beat a traditional silk saree. 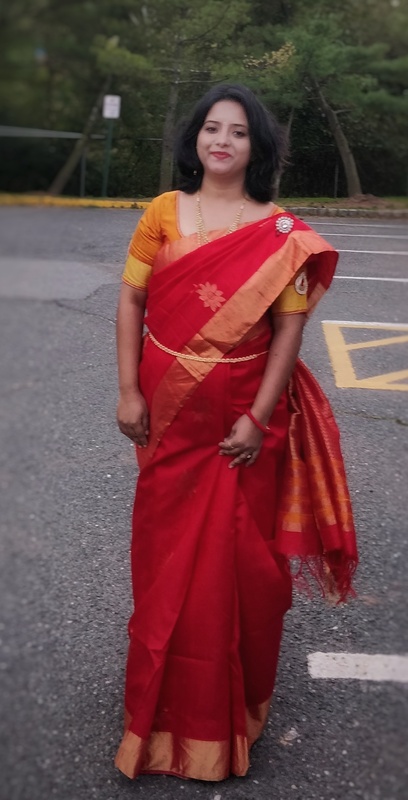 Here You can see me in a gorgeous red raw silk saree. The colour red itself is perfect for attending a marriage. Be experimental with your blouse designs. If you are also not a big fan of gold jewellery then accessorize it with some Kundan jewellery. Finish the look with a matching traditional waistband and you are going to get lots of compliment for sure. Banarasi sarees are back with a bang in Indian wedding scene all thanks to the one and only Sabyasachi. Be it Anushka Sharma or Deepika Padukone these Bollywood actresses have started embracing this timeless classic. The best thing is nowadays banarasi does not mean heavy silk with all over zari work. We have varieties of lightweight yet gorgeous tussar,mugga,katan banarasis to chose from. Here you can see me in such a feather-like tussar banarasi . 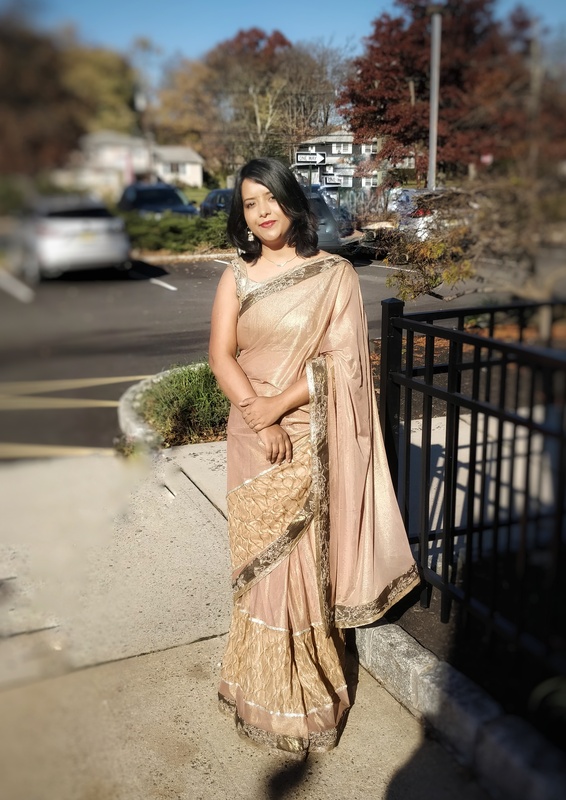 I would highly recommend a banarasi saree to attend the marriage ceremony or reception. 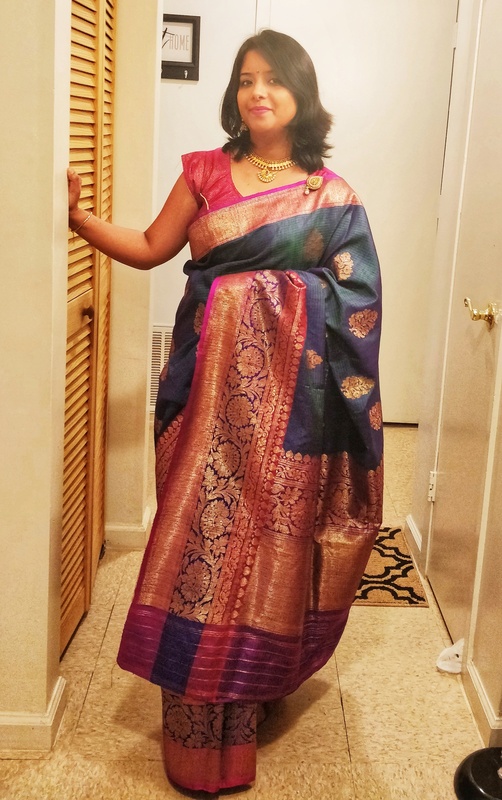 All other trends may come and go but a saree like banarasi will never go out of fashion and a very good investment for every woman. Great ethnic wear. Love all your outfits. I love learning about, and seeing ethnic attire/wardrobe. All of your pieces are beautiful! These are absolutely stunning! Love learning about your culture!